Two men have been arrested after a 30-year-old was 'kidnapped' in Warwick yesterday, March 25. Police said the incident began at around 4.50pm yesterday in Shakespeare Avenue following a minor collision between a silver Vauxhall Corsa and a Chevrolet Cruze. After the collision the victim, who was in the Cruze, was attacked by the two men from the Corsa. Then another man arrived and demanded cash from the victim before marching him to a cash point. The third man then forced the victim into the Corsa and drove him to another cash point in Market Place, Warwick, to withdraw more money. While this was happening, the other two men stole tools from the victim's car. They arrested a 24-year-old man from Stratford on suspicion of kidnap. 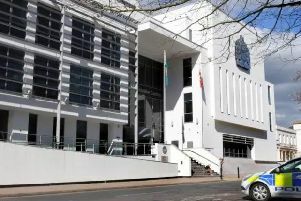 Earlier today, March 26, a 25-year-old man from Leamington was arrested on suspicion of robbery. Detective Inspector Tim Sharp, from Warwickshire Police CID, said: "We'd like to hear from anyone who witnessed the collision or saw the direction in which the offenders fled after they stole tools from the victim's car. We'd also like to hear from anyone who has dash cam footage from the area around the time of the collision. "Any information may assist our investigation and we would urge people to contact us. "Incidents of this severity are extremely rare. I would like to reassure local people that we are conducting a thorough investigation to identify all those responsible." Anyone with information should call 101 quoting incident 282 of 25 March 2019. Alternatively, information can be provided anonymously to the independent charity Crimestoppers on 0800 555 111.